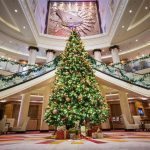 Even though we are just approaching the holiday season for 2018, it is already time to be thinking about the holidays of 2019 if you are hoping to take the entire family on a Disney Cruise. 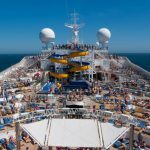 It pays to plan ahead if you are interested in booking a cruise during this high demand season, and especially if your kids want to be cruising with all of their Disney friends. The holiday schedule for 2019 has just been released and it is offering some new excitement. This amazing adventure is a 10-night transatlantic crossing aboard the Disney Magic. 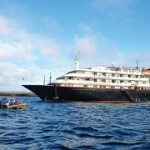 For those who are not familiar with the magnificent Magic, she offers 11 public decks, can house 2,700 passengers and provides a crew of 950 who are there to make everyone’s dreams come true. 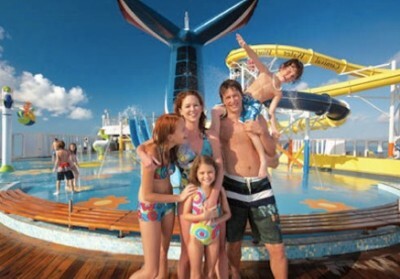 Kids will love the waterpark and the fantastic pool, as well as the Disney-themed shows and fireworks at sea. Parents will enjoy a few special adults-only quiet areas as well as gourmet dining and movies and Broadway quality plays. The ship departs from Dover, England and will stop in ports including Cork, Ireland, and Halifax, Nova Scotia as well as a stop to see the world famous Stonehenge. The final day of the cruise will bring the Magic into the harbor in New York City. For some awesome vacations that begin in North America, Disney is offering cruises which depart from Port Canaveral, Florida; Miami, Florida; Galveston, Texas; San Diego, California; New York, New York; and Vancouver, B.C. And an additional cruise is also scheduled to depart from San Juan, Puerto Rico. 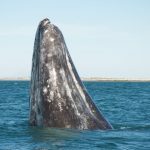 These trips will explore areas such as Bermuda, Baja, Canada, the Mexican Riviera, the Bahamas and the Caribbean and range from as few as two nights to ten nights and more. 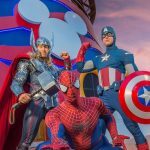 In addition to the regular fun and activities only found on the Disney Cruise Ships, there will be a few special trips including a Halloween Cruise, a Merrytime Cruise, and special events to ring in the New Year. But space is limited, so it is never too early to begin planning your Disney Cruise holiday for 2019. And be sure to review all of the activities that you can pre-book such as a meal with a Disney character, a behind the scenes look at the ship or even a special appointment to treat your little princess to a visit at the Bibbidi Bobbidi Boutique.